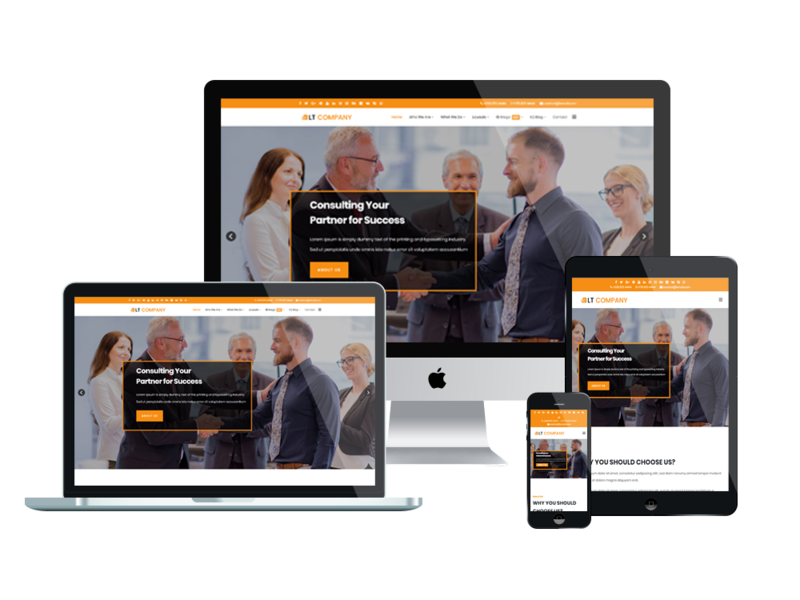 LT Company is Responsive Company Joomla template. It's really modern and cooperative. This is professional template to provide information about the company and its products or services. It builds for company template with fully responsive layout (support for mobile devices). LT Company comes with flexible homepage which includes boxed and full width layout. Besides, it builds on powerful framework with completely bootstrap, strong shortcodes, unlimited position, 4 color styles and easy to drag-drop layout content. 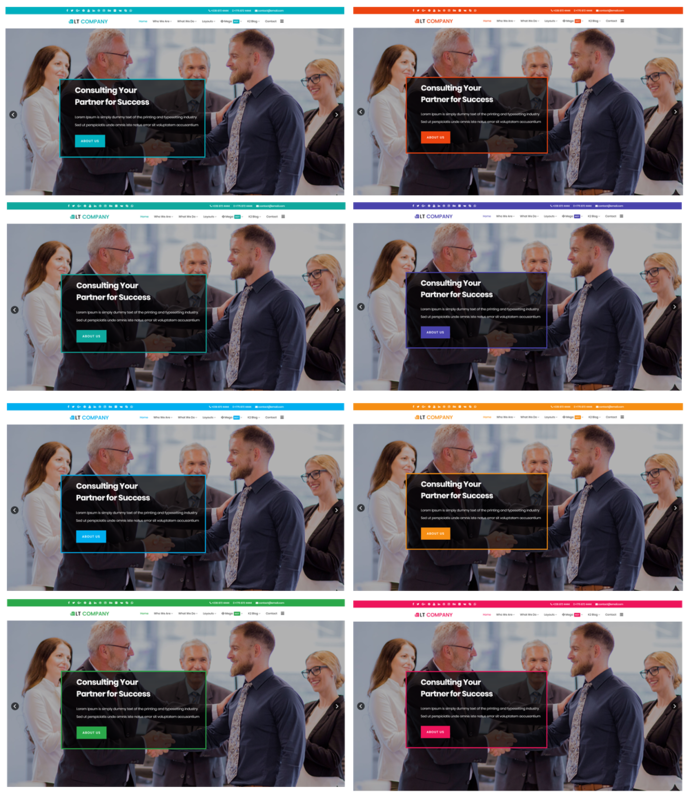 You have 8 options to choose color style for your own site! It is also possible if you want to change into another color beside available colors, via Template Settings with unlimited colors based on Color picker Tool.